Golightly Career and Technical Center Graphics Arts and Communication department along with staff, students, and administration is committed to the Detroit Promise and the District’s new strategic plan. Assistant Principal Stephanie Jenkins enlisted the help of students to promote and inform parents and partners about the Detroit Promise. In the front lobby of the school, a showcase highlighting the program was designed and constructed by the students, Special Instructor, Leisia Duskin and Program Manager Tanisha Bronaugh. 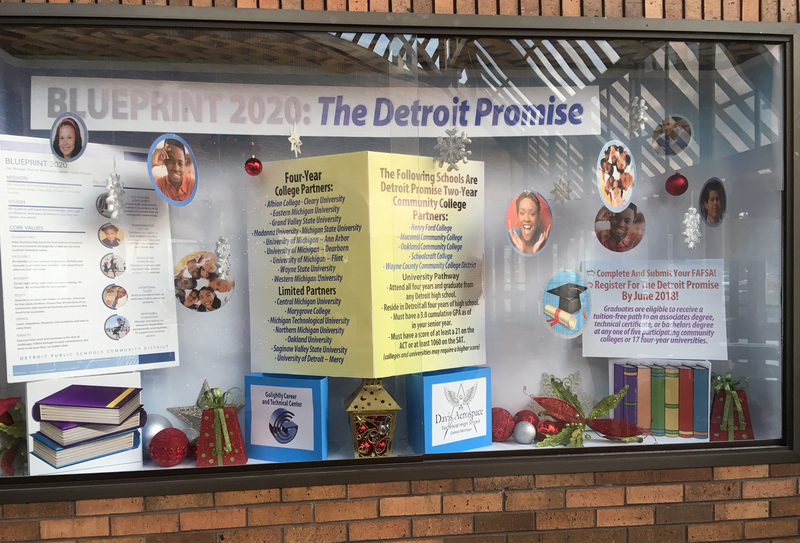 The entire school community embraces the support of the Detroit Promise as part of the District’s new Blueprint 2020.